1Heat the oil over medium heat. When visibly hot, toss in the panch poran and temper the spices for about 30 seconds, then add the onions. Sauté for about five minutes until soft and translucent. 2Add the garlic and ginger paste and the chopped chillies. Fry for a further one minute, then stir in the curry powder followed by the lamb. 3Brown the meat for a couple of minutes and stir in the passata (sieved tomatoes) and shredded spinach. 4The spinach will wilt and cook into the sauce. 5To finish, stir in the base curry sauce if you prefer a saucier curry. 6Let it simmer until it cooks down to your preferred consistency. 7Season with salt to taste and sprinkle with garam masala to serve. 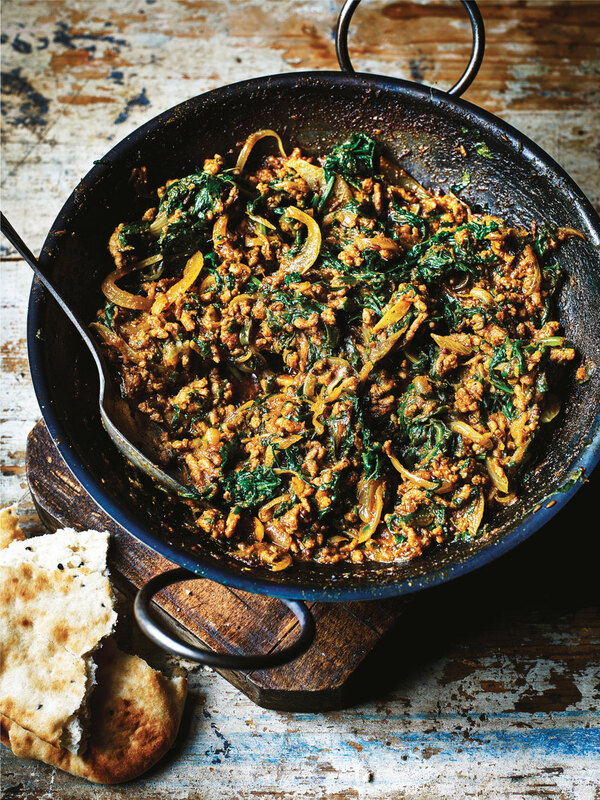 8Baltis are dry curries, perfect for mopping up with hot naans.